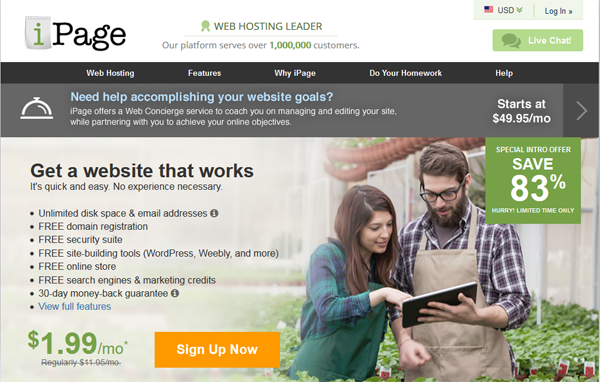 iPage has continually offered one of the most affordable web hosting plans over the years. While ideal for first time website owners, iPage can also be used successfully by more experienced web masters that are looking for a value loaded hosting package. iPage provides unlimited disk space, email, a free domain, and over $500 in free extras. And on the green web hosting front, iPage is powered by 100% wind energy. When it comes to value, iPage remains one of the best choices. I like the fact that they include many freebies and extra features that others charge you extra for. I think iPage is especially good for newbies too.